A bearing is a measurement of direction between two points. Bearings (in Spanish: rumbo, orientación) are generally given in one of two formats, an azimuth bearing or a quadrant bearing. An azimuth bearing uses all 360° of a compass (brújula) or a Protactor (transportador de ángulos) to indicate direction. For quadrant bearings the compass is divided into four sections, each containing 90°. 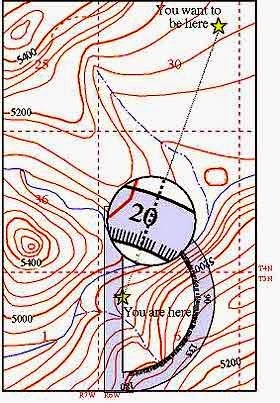 So, you’re in the field with your map at point A and want to get to point B… How do you accomplish this? The first thing you need to do is determine the bearing from point A to point B. The easiest way, is to carry a protractor with you when you’re in the field. 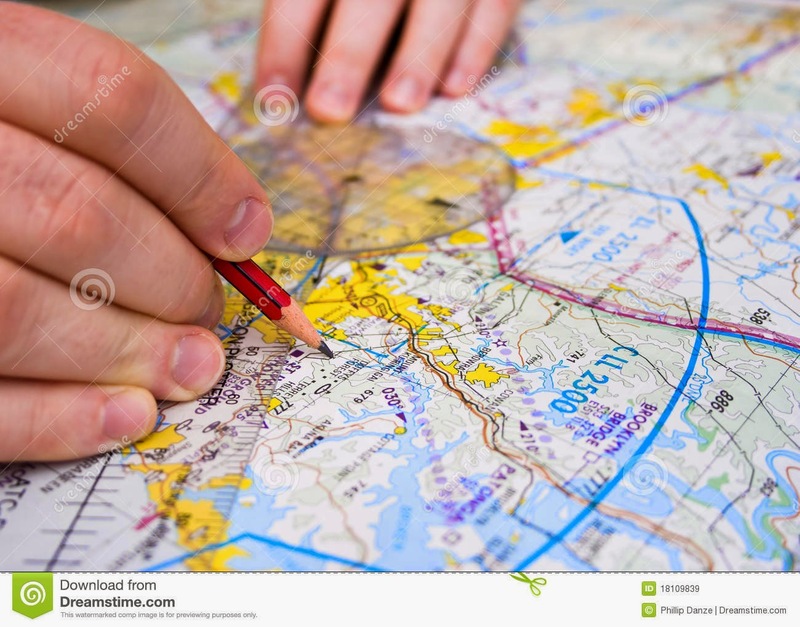 If you have a protractor with you, place it on the map so it is oriented parallel to a north-south gridline, with the center of the protractor on point A. Once you have done this, you can simply read the bearing you need to go off of the protractor. In this example, the bearing from A to B is N 20º E.
By the way, if you want to do some volunteer review of geographical coordinates or GR (Grid references), you can visit this link. And you can also re-watch the video about calculating gradient.